Well, it’s that time folks. Dim the lights, sweep the floors, turn off the coffee pots – it’s time to close another GenCant. We hope you enjoyed our unconvention this year. 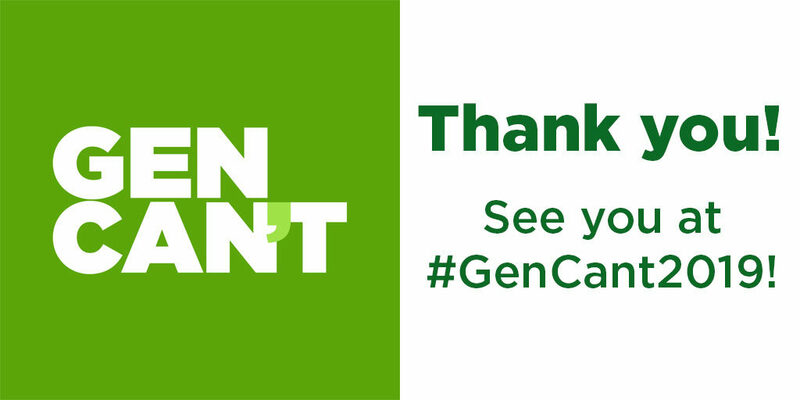 We hope you enjoyed #GenCant2018. If Gen Con is in your plans next year, awesome! But if it’s not, never fear – #GenCant2019 will be here for you. Woohoo! GenCant 2018 was fun as always! Shoutout to #TeamSOOZ! As fun as this was I think GenCon is in my future for 2019. Another great year! Thanks to everyone who makes it possible! The contests, events, and raffle are always much anticipated. Thanks all! Another great GenCant event! See you guys next year! The GenCant 2018 badge generator will remain online until whenever I have to update it for GenCant 2019. Because, after all, if you’re not currently at GenCon… you’re at GenCant!